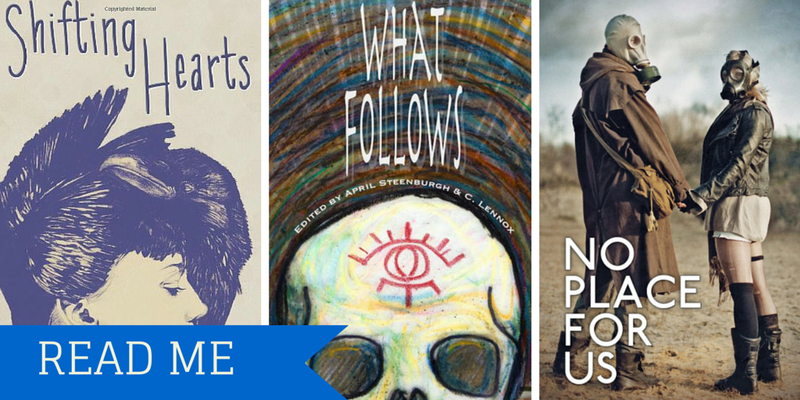 Want to read anthologies featuring yours truly? My story in Shifting Hearts, “Crossing the Line,” follows a feral-hearted woman as she deals with territoriality – and cautious affection. “Monster Godmother,” in What Follows, is the story of an immortal fae and the humans that hate her, all struggling against an ending world. “Company,” my story in No Place For Us, is also apocalyptic. Sometimes the best thing to wash up in your nets is companionship. The Amazon Links are all here. You can find What Follows on SmashWords, Barnes & Noble, and Kobo here, or on CreateSpace here. Mobbing Midnight: a Kickstarter Just Nine Days to go! March Theme Poll – open to everyone! Domain Name Fundraiser – Ask the Questions!